I just love when I get a unique special request for a painted wedding dress hanger. 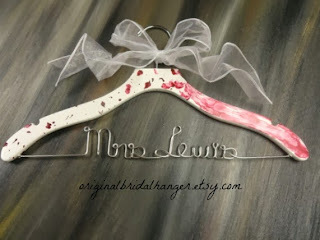 I do not get to use my sense of creativity very often right now. 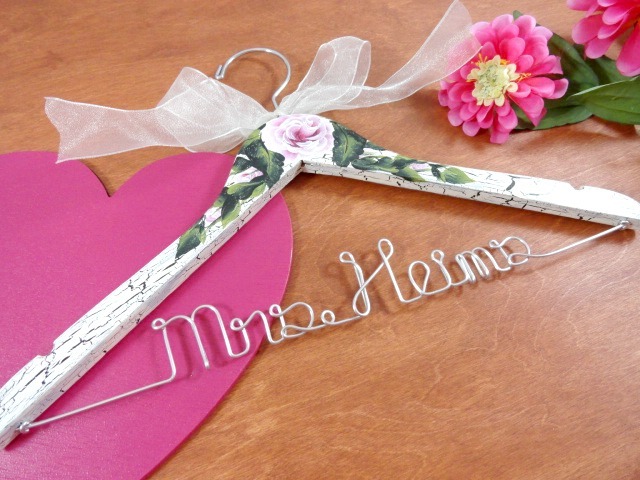 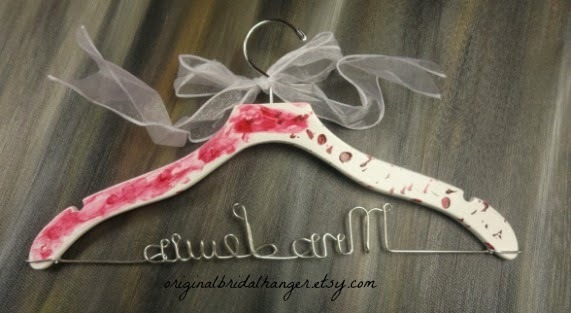 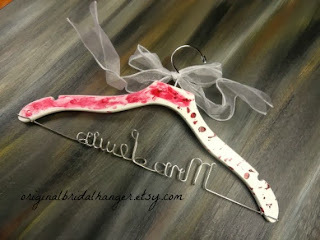 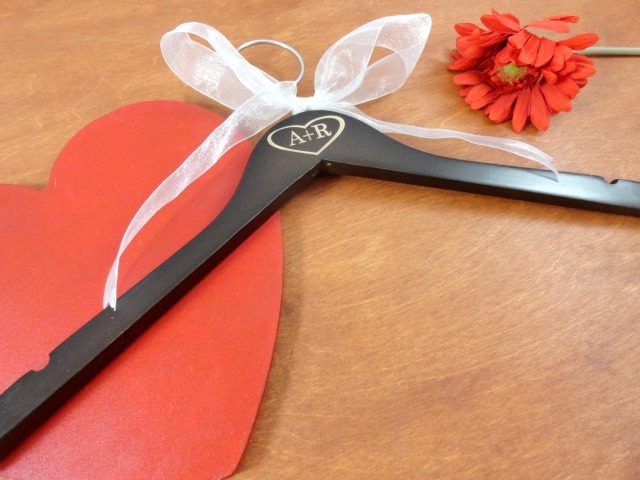 I just loved when the person buying this hanger made the request for a blood splattered, smeared, finger print hanger. My thought was to start with blood splatters on one end, smear the paint on the other side, with a few finger prints in it and outside of the smear. 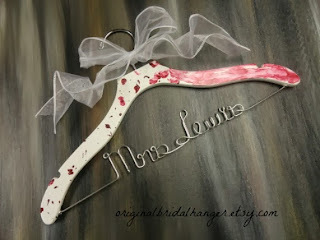 I actually continued the painting on the backside of the hanger too. I felt this would make it feel more realistic. 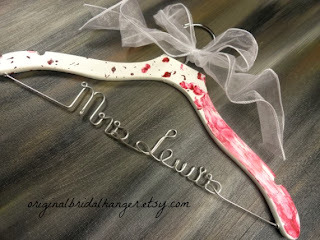 Do you have a desire for a unique wedding? 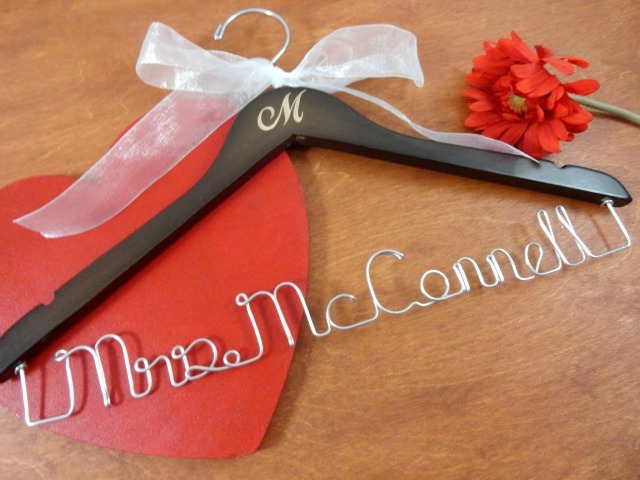 I would love to hear your thoughts, and what you would love to have on your special day.